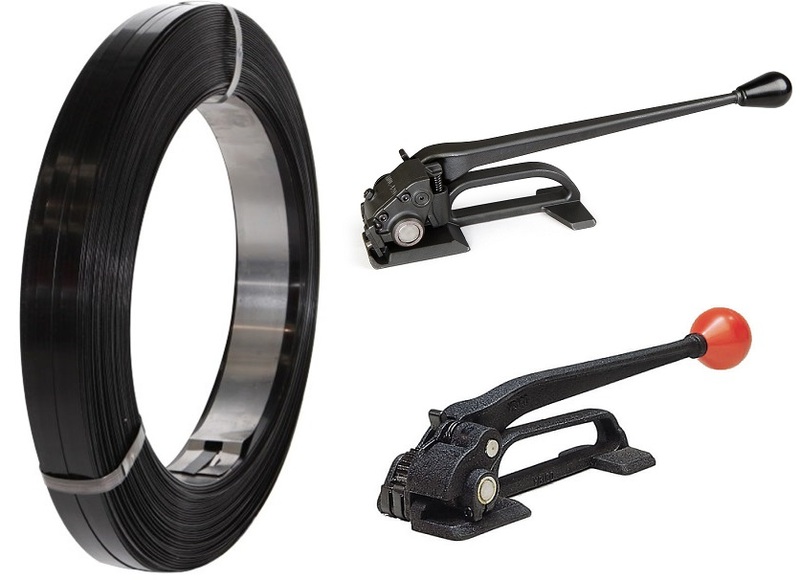 The best way to deal with steel strapping is to use tensioner, sealer and high tensile seals. We sell several models of steel banding tensioners and each is made for certain strap size (widht). The main tensioner’s purpose is to tension and cut strapping. For steel strapping we offer heavy duty tools to make sure they are durable enough. We also provide video instructions how to tension a strap. All-in-one tool that tensions, seals and cuts HT/RD steel strapping, adjustable for 1/2", 5/8", 3/4"
All-in-one tool that tensions, seals and cuts steel strapping, adjustable for 1/2", 5/8", 3/4"
Strap Thickness: up to 0.025"
Strap Thickness: Up to 0.035"